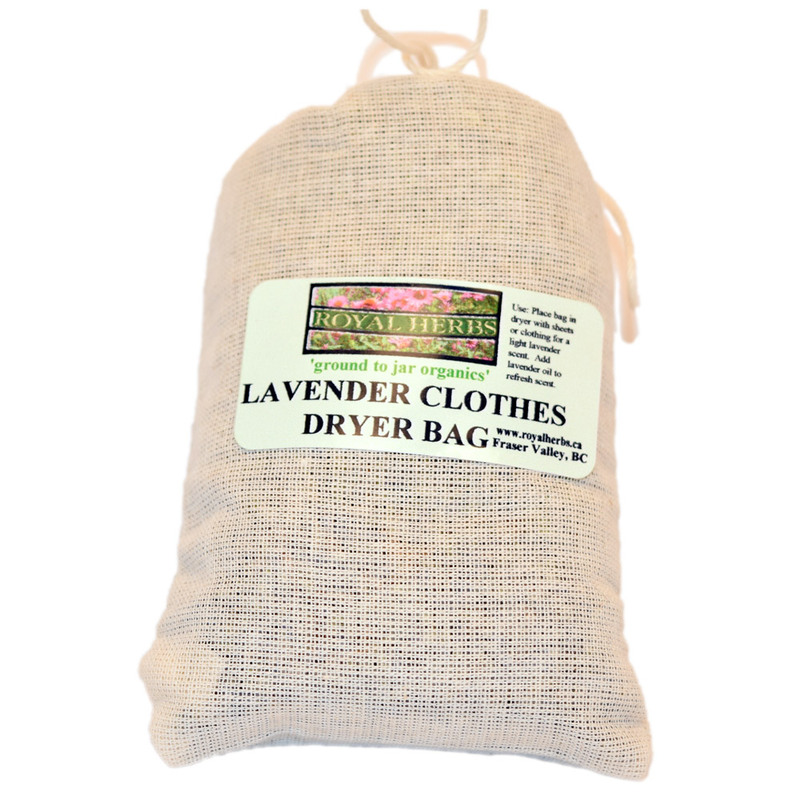 Organic lavender is packed in a muslin bag and infuses your clothes with a wonderful, natural Lavender aroma. Use: Place your Lavender Dryer Bag in a close, drawer or under your pillow or place it in the dryer with your wet clothes. To refresh the Lavender Dryer Bag add a few drops of our pure Royal Herbs lavender essential oil. 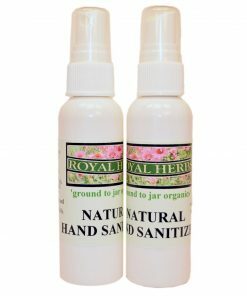 Royal Herbs Natural Hand Sanitizer Spray contains denatured alcohol, aloe vera and witch hazel to kill bacteria. 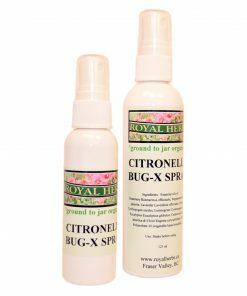 This convenient spray has a citrus scent. 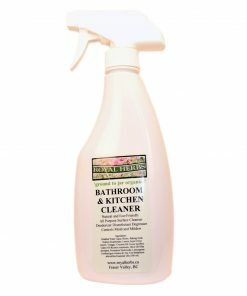 This all surface natural household cleaner is made with borax, baking soda, white vinegar, fresh organic lemon juice, distilled water and scented with lemongrass and tea tree. This cleaner cuts through mold, mildew and stubborn grease and stains and is anti-bacterial and eco-friendly.